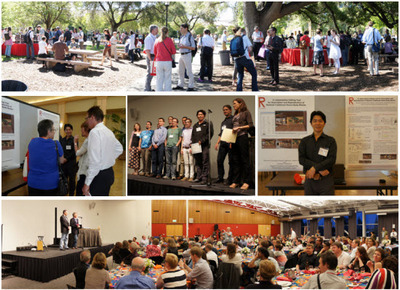 During June 19-22 2011, the Digital Humanities 2011 was held in Stanford university, USA. Digital Humanities is the annual international conference of the Alliance of Digital Humanities Organisations (ADHO), which was held at King’s College London last year and will be held at university of Hamburg, Germany, next year. In this conference, I has made a presentation on "A Labanotation Editing Tool for Description and Reproduction of Stylized Traditional Dance Body Motion" and was honored to receive the 2011 Bursary Award, for young researchers, from the Alliance of Digital Humanities Organizations. Therefore, I would like to thank Prof. Hachimura and the GCOE program with all of you directly and indirectly giving me comments and suggestions in my research so that my research paper was qualified.